The energetic team at Harcourts Newcastle Office not only bring their experience and expertise to the region, but they also provide their services from the solid foundation and reputation of one of Australia's oldest and most respected real estate agents. An agency that doesn't believe in a one-size-fits-all approach, Harcourts delivers an exceptional and rewarding sales experience based on honesty, integrity, and professionalism. Harcourt's team believe that buying and selling real estate is mostly about fulfilling people's needs and aspirations and that's why they enjoy building meaningful and genuine relationships with their clients. As highly experienced negotiators, Harcourts' agents consistently achieve stand-out sales results by approaching the sales process with an open and honest attitude that delivers every time. The agency's clever use of innovative Real Estate technology and marketing expertise delivers premium tailor-made marketing plans for their clients, resulting in greater interest in properties and better results. Reputable, proven real estate sales from a vibrant and dynamic team. Welcome to Harcourts Newcastle. Managing intricate relationships between tenants and landlords requires patience, communication and fine-tuned skills. Backed by over 10years experience, Sheena has this skillset, the knowledge and is driven by her passion for people and property. She listens, understands, educates and guides her clients and aims to exceed client expectations. As Senior Property Manager, she knows the Residential Tenancies Act intimately so complex issues can be tackled swiftly and accurately. She can expertly translate the legalities around any awkward situation with each party in layman’s terms making a sometimes emotional time more comfortable. For Sheena, communication is key and her reputation exceeds her in this area. She has seen many changes within the industry and welcomes the many digital options now available to help streamline workload and communication with her clients. Originally from the Central Coast, her love of horse riding brings about a sense of calm, quality family time and a chance to refresh at the end of the week. Having made the move to Newcastle some time ago, she hasn’t looked back and is so inspired by everything the city has to offer. The amazing beaches, shopping precincts, restaurants, accessibility and the general vibe tick all the boxes. Daisy grew up in Lake Macquarie and as a teenager moved to Newcastle after a brief stint in Sydney to study property services and gain a certificate of registration. She began working as an agent in Lake Macquarie in 2013 and through hard work, quickly saw success. Daisy is determined to be different and help guide you through the sometimes daunting process of buying property. By keeping you informed and educated every step of the way she will make your experience a positive one. She loves working with first home buyers and helping them have confidence in their property goals. Daisy believes no problem is ever a problem and works actively to find solutions. She is committed to going above and beyond and always working in her clients best interests. After taking time away to raise a young family Daisy is beyond excited to be returning to real estate with the talented Harcourts team. 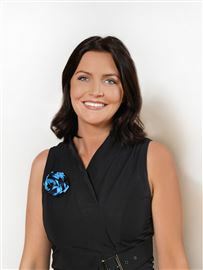 Emma Black of Harcourts Newcastle is our “Donna”. She’s the Office Manager, the mastermind, she’s creative, articulate in her work and armed with knowledge. She hopes every client has a beautiful and nurturing experience whilst buying and/or selling their home with Harcourts Newcastle. 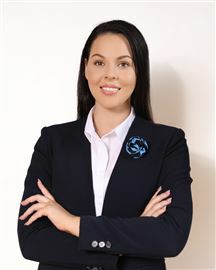 Originally from the Hunter Valley and working in Conveyancing, Emma’s love of property, desire to help people, lust of home styling and renovation, she decided to move Newcastle 10 years ago to study Business Management and gained her certificate required to enter a new classification of work being real estate. Admired for her loyalty, strength and soft spirit, this is truly reflected in Emma’s beautiful imagery with another passion of hers being photography. She is a very proud Mum of two boys, her complete heart and soul. They enjoy all things beach, footy, dancing, singing, giggling together until their sides hurt. 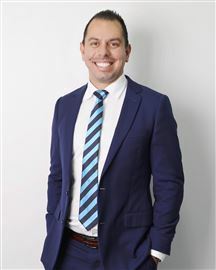 Joel Soldado is a Director and Licenced Real Estate Agent at Harcourts Newcastle. An accomplished agent whom throughout a 14 year career has received numerous accolades in recognition of outstanding achievement. Joel continuously seeks to stay ahead of the game when it comes to market education and trends, having access to Harcourts cutting edge systems allows him a full range of marketing, research and technological tools, this coupled with his vast wealth of local property knowledge ensures his clients receive a strategic yet personable approach to the home buying and selling process. Tireless commitment and determination sees Joel consistently achieving notable results for his clientele. He prides himself on delivering unparalleled customer service with a devotion to serving in his ‘clients’ best interests. Kiah is passionate about the real estate industry and is highly dedicated to her clients. With a mindful understanding that for many people, buying or selling a property can be a daunting experience she is committed to offering a supportive and informative role. Kiah likes to make the process as transparent as possible with a strong emphasis on communication. Whether you are a buyer, seller, developer or an investor, Kiah aims to make the process as smooth and easy as possible whilst achieving premium results. Kiah’s determination to make real-estate a long-term career sees that her clients are her number one priority. Having grown up in the wonderful city of Newcastle, Kiah understands this city is a close knit community and is confident that the quality of service she delivers speaks for itself. Through honesty and a dedication towards guiding her clients through the experience, Kiah believes she will continue to see repeat and referral business in the many years to come. Laura Strong is passionate about the role she plays in buying and selling your home. She is committed to the principles she believes in - of listening to her clients, digging into the "why" and searching for solutions that bring about the very best sales or purchasing outcomes. Laura understands that for her clients, the buying and selling of a property is a life-changing process. With more than a decade of experience working in almost every facet of the business, from sales to administration, property management and everything in between, Laura's skills benefit both her customers and the agency. She's a quick thinker and a problem solver, skills she acquired during her fascinating childhood growing up in Fiji where her family had a boat building business. As a valued member of the Harcourts Family, Laura enjoys the opportunities being part of a internationally recognised brand provides. “I’ve developed a clear advantage by listening to the goal, then helping people achieve it.” – Luke Luke’s attention to detail, strong negotiation skills and genuine passion has allowed him to provide exceptional value to each client experience. Working as an assistant for one of Newcastle’s best estate agents for two years taught Luke every intricate detail of a transaction, from start to finish. Luke is a strong negotiator that credits his success to being “transparent and very up front with people. People trust and appreciate the process.” Available 7 days a week, Luke provides a consistently exceptional customer experience. With a focus on prestige homes in Newcastle, Luke has already achieved some incredible sales, resulting in repeat and referral business early in his career. In a competitive industry where professionalism, results & exceptional service are in high demand, Lynette consistently exceeds her clients expectations. With 15 years of success in the industry, Lynette is an integral part of Harcourts Newcastle & Lake Macquarie, and their vision of providing the best real estate service in Newcastle. 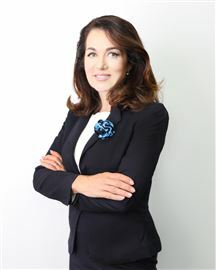 Lynette is passionate about property and possesses a wealth of industry knowledge. When you combine this with her proactive attitude and dedicated communication in all of her business dealings, she makes the process of buying and selling seamless. Drawing from a large network of past clients and referrals she has the resources to consistently produce a remarkable result for her clients. An accomplished negotiator, Lynette is committed to going the extra mile to help her clients realise their property dreams. This is evidenced in the high volume of street and suburb records she consistently achieves year after year. Lynette believes that an agents job is to remove the stress of buying or selling whilst achieving exceptional results and that is what she delivers time and again. An accomplished Real Estate agent backed by over 12 years’ experience in both Sales and Property Management, Michael aims to exceed client expectations and improve the client experience with every opportunity. Michael is passionate about helping people achieve their property goals and has an expert understanding of the local market, being born and bred in Newcastle. He understands that selling a home can be an emotional journey, so does his utmost to ensure clients are guided with realistic and expert advice. Michael knows that every situation is different and does not believe in a one-size-fits-all approach. He ensures that all clients’ needs and wants are addressed and worked towards in a professional, honest manner. Business owner at Harcourts Newcastle, Michael gets satisfaction from helping others achieve their Real Estate goals. He says seeing the happiness and smile on clients’ faces at the end of the process is priceless. 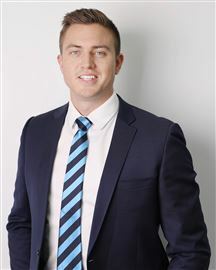 Sam has established himself as a high performance real estate agent in the Newcastle & Lake Macquarie real estate market. Achieving excellent listing & sales results. 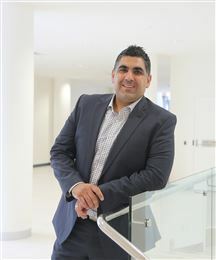 He comes from a family of property investors, renovators & the construction industry, so real estate is in his DNA. Sam has achieved suburb & street records in Bar Beach, Broadmeadow, Cardiff Heights, Elermore Vale & Lakelands just to name a few. 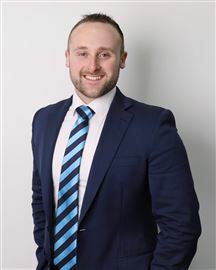 Sam is a Director & Principal Agent of Harcourts Newcastle & is known to be a market leader in our region who possesses a relentless work ethic & ensures he achieves nothing but the best result for you. 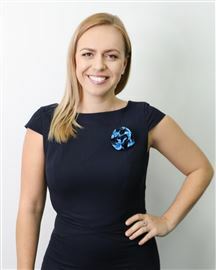 Prior to joining forces with Harcourts Sam worked at two other real estate agencies and was ranked #9 in the top 10 agents in Australia within the brand. Whatever you're looking to do in your next real estate move, look no further than Sam Tsiaousis who is passionate, exceptionally focused and results driven.